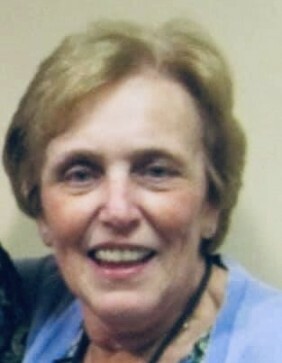 Kathleen Lee “Kathy” McCue, passed away on March 29th 2019 at the age of 69. She was born to the late Charles & Felicia “Lee” Rockhill on September 3rd 1949. She was born and raised in Long Branch, New Jersey and started her career working at Fort Monmouth, New Jersey. She moved to Laurel, Maryland in 1970, where she raised her family and spent her years working for the Federal Government (USDA) in Beltsville, Maryland until she retired. Kathy is survived by her two daughters Lori Anne (Daniel) Miller of Monrovia, Maryland & Lisa Marie (Steven) Boyer of Arnold, Maryland. In addition, she is survived by her four beloved grandchildren, Adam & Allison Miller, and Jack & Noah Boyer, her sister Carolyn “EE” Pigage, aunt Annette Giunco, and several nieces and cousins.